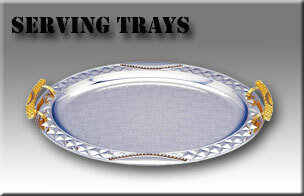 Plated with that special Sterlingcraft. 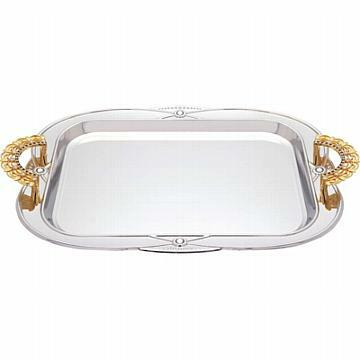 finish that never needs polishing, this large serving tray features ornate gold-tone hostess handles with faux jewel inlays. Measures 20″ x 15-3/8″ x 1″. White box.